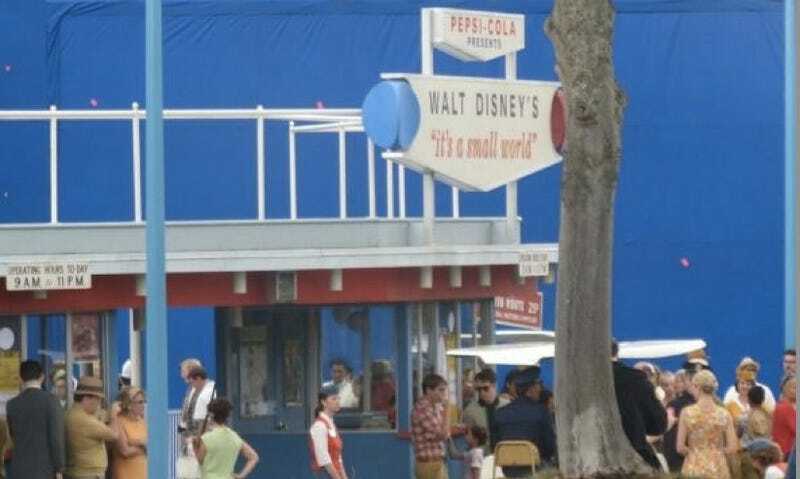 Oh man, we are loving the retro feel of these set photos from Brad Bird's Tomorrowland. Every single extra, prop and set piece looks like it stepped right out of the classic Disney reels. We are loving this! Bird's new Disney movie is still shrouded in mystery — but these set photos reveal a collection of amazingly dressed extras trotting around with alleged villain Hugh Laurie. Showcased in one of these images is the much whispered about Hall of Invention that we've been hearing things about for months.